Are Solar Panels Safe For Your Roof? One of the most common misconceptions out there when it comes to solar panels on a roof is that they’ll cause your roof to leak, deteriorate or collapse. First and foremost, it all depends on the installation. 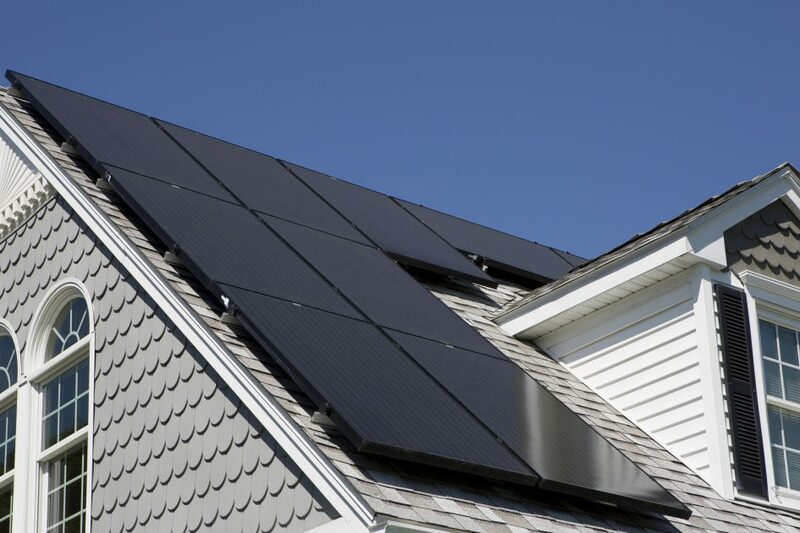 In most cases, solar panels can actually protect and preserve the portion of the roof they cover and most are not even attached directly to the roof itself. So, why the concern? Shoddy installation jobs can often result in leaks or other problems so you’ll want to make sure you’re hiring a trusted and experienced company if you decide to go solar. You’ll also want to make sure your roof is in good standing. This means that it will be able to carry the added load and that the condition of your roof is good or better. There are a few other factors to consider when it comes to your roof and whether or not solar panels are a safe option. Age, pitch, slope and height can all play a role so be sure to consult with a local roofing company with any questions you may have – that’s where we come in!